Port of Call (1948), Ingmar Bergman – This film was reviewed by Jon from The Film Brief as part of The Bergman Files here. I thought this had a cracking start with an attempted suicide. A very sharp script and yet again Bergman is honing his favoured themes – familial relationships and young love are at the fore here. The major strength of this is Bergman’s critiques of broader Swedish society, especially through an intense abortion subplot. Bait 3D (2012), Kimble Rendall – A poor script woefully acted. But its frickin killer sharks loose in a flooded supermarket in awesomely rendered 3D and a whole lot of fun. A really cool little Aussie high concept genre flick. Picks up where last year’s excellent The Reef and Sanctum left off. Catching Hell (2011), Alex Gibney – Fantastic ESPN baseball documentary. Taps into all of the mystique in the game by connecting the ’03 Cubs with the ’86 Red Sox. Also a horrible story of bullying. Really sad and sows the warped place of sport in many people’s lives. The Tempest (1908), Percy Stowe – This very early silent Shakespeare short is really quite visually arresting for a film of its vintage. The set design, painted backgrounds and costuming all indicate the effort that has gone in to it. And it is a genuine film, not merely a filmed play as many early efforts were. There is a really nice performance by the unknown actress who plays Ariel, and the filmmakers manage to cram a lot of Shakespeare’s tale into a short with no dialogue and minimal intertitles. Here it is for you to check out. Margin Call (2011), J.C. Chandor – One of the best ensemble casts of recent years and an excellent cast drives this very taut GFC film. Script has to be good to make what is essentially a bunch of people sitting around in a room talking such riveting viewing. A great window into a vile world which illustrates the disconnect between the world of high finance and the real world. Mirror Mirror (2012), Tarsem Singh – Like all Tarsem films, this is visually electric. 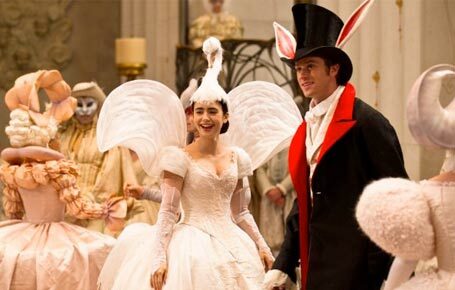 The script is witty and takes off fairy tale shtick without being derivative but rather by subverting their pretentions Costumes from the late Eiko Ishioka are lavish. I really liked a lot of this, and the few instances it falls down a little are when trying to pander to too wide an audience. Lily Collins as Snow White has sass and spirit whilst Julia Roberts is excellent as a truly cruel evil queen. Tarsem is a visionary. 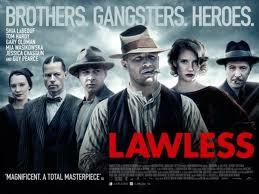 Lawless (2012), John Hillcoat – Cave and Hillcoat really are quite the team. This has gotten middling reviews, but I think it features prob the script of the year so far with some nice notes of humour arriving unexpectedly. Guy Pierce’s preening villain will become a classic if there is justice, as he manages to avoid it becoming a caricature. Jessica Chastain, Tom Hardy and Mia Wasikowska also excel. A great bluegrass infused soundtrack set the tone for a tale set in one of America’s most interesting historical periods, that of prohibition. Argo (2012), Ben Affleck – This is a borderline classic. If you didn’t already know Affleck was the young director to watch before this, you do now. The manner in which he balances tone – tense start, borderline comedy Hollywood middle section, white knuckle ending – is masterful. Tate Donovan, Affleck himself, Alan Arkin and John Goodman all put in really good performances. Really craftily shot too, the low-res to make it look like a period piece and a smart animated intro are highlights. One not to be missed. The Five Year Engagement (2012), Nicholas Stoller – One of the very worst of the year. Jacki Weaver and Annie from Community are good in supporting roles… and that’s all the positives I got. A woeful, unbelievable, unromantic and unfunny script cripples the film as does Jason Segal’s absurd character. A miserable film populated by miserable characters. Cheers man. Yeah I like to keep these short and sweet. Just a quick monthly round up of everything not featured elsewhere in more detail on the site.